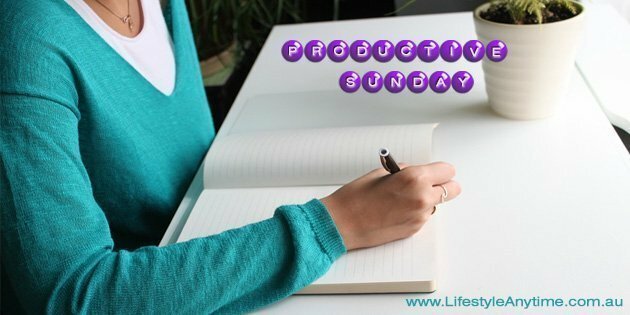 Sunday the day known for rest is also the day to set up for a productive week, especially for busy working mums and entrepreneurs. Ever catch yourself saying ‘Ah… but it’s Sunday.’ There were times throughout the day on Sunday that I often caught myself saying this, especially if I had been on shift earlier in the day. 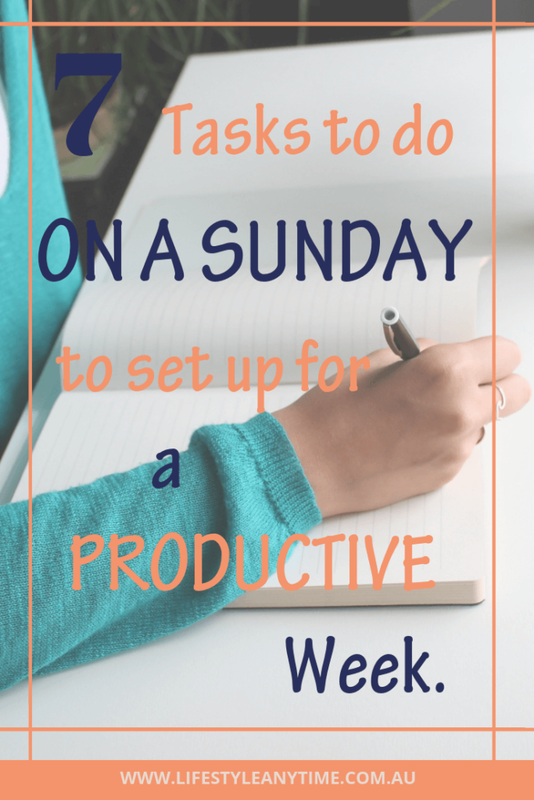 These days I seldom work on Sundays, but most Sundays I set myself up for a successful week. Making the most of Sundays. Having a family, a job, a business and of course my own goals as well as family goals, life can get busy. Sometimes I wonder how mums fits it all in. Yet, everything falls into place because of tiny habits. Small habits that are hardly noticeable yet help with setting the week up. First things first. Sunday is often family day in our house or a day where Carsten and I go out and spend time doing things we enjoy like walking, exploring new places or going out for lunch. Therefore, I plan my week and set my week up towards the end of the day on a Sunday. However, preparing for the week ahead can take place at anytime that suits you. 7 Tasks To Do On A Sunday To Set Up For A Productive Week. 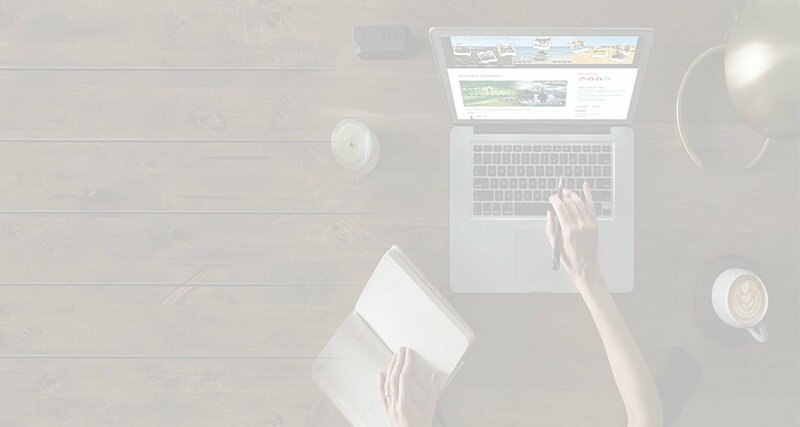 Grab your diary, weekly planner, journal or open your online calendar. Write down all your activities for the week. Schedule too your ‘me time’. For me, that includes walking time, journaling and meditation time. For you, it may be your gym time or personal development activities. To have a productive week, plan out your tasks as to do the most difficult first. As Brain Tracy says ‘Eat that frog’. If you have a family whiteboard, check to see if any times or things. In your weekly planner, write up everything you have planned for the week. Don’t over plan, remember to allow yourself time for meals, travel, phone calls, family and the small things that sometimes eat up time, but matter to you. Check if there are any family activities you need to plan into your calendar. Over the years, I’ve used a variety of calendars or whiteboards to stay updated with family activities. When the children were little, we all had our own row in a weekly family planner. Now I use a whiteboard and we have different colours. A tip if you also look after elderly parents, relatives or people is to have a white board set up for them with their daily activities and times. This really helps them remember what is happening and how to plan for their day. One way to plan for success in the week is to plan the weekly meals. I know many families have set meals they eat on set nights. In my household now that my adult son likes to cook new recipes the meals are often changing, we still have a few days where the family has a set meal day. Do you have a set day for certain meals? Even if you don’t have any set meals for certain days of the week, it is really helpful to have the meals planned in advance. Especially if you are like me and watching your weight. When you know what the meal is for the evening, than you can decide to eat it or to have a healthier option. Tip 1: Delegate set cook nights to a family member. Tip 2: Keep some healthy meal options in the freezer for quick alternative meals. One way to save time throughout the week is to prepare meals in advance. I tend to do this on a Sunday, you might choose another day that suits you. Schedule in time to cook up complete meals for the fridge and freezer. As well as prepare salads or vegetables and seal in containers in the fridge. Saving time is the main reason to have meals prepared for the week. Yes, I agree, some meals are quick and easy to cook on the day, yet others take time. Also sometimes after work when tired it is easy to give in purchase takeaway or choose an unhealthy option from the store. Fresh is best as is the home cooked meals. Cooking in bulk for the fridge and freezer saves both time and money. As you write up your menus for the week, check the pantry and write the shopping list. I like to add my shopping list into a list app ‘Wunderlist’. I even have the list shared with the family so anyone can add to the grocery shopping. Or even go shopping. That’s a bonus! When I’m out shopping if it’s not on the list, it is not brought. That’s a money saver! 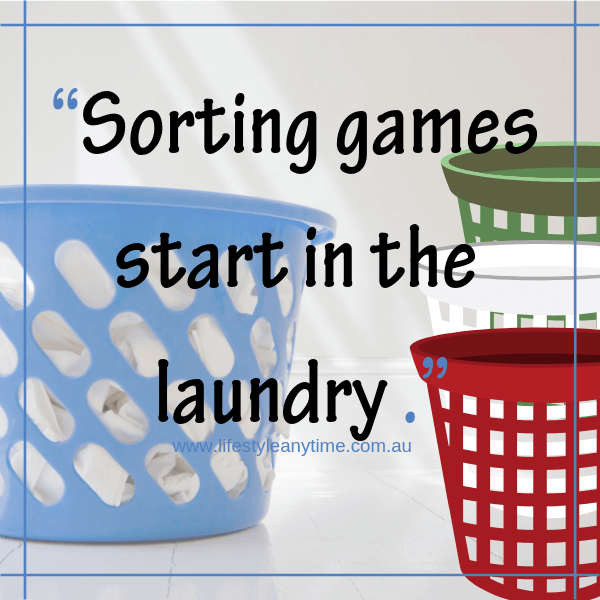 From when my children had school uniforms that needed washing, I got into the habit of washing on the weekends. I still do. Therefore, the laundry gets folded and put away on a Sunday. No ironing, unless absolutely needed. Buying clothes that do not need ironing is what I would recommend. You may like ironing, I refer to it as a chore, so it is one of the tasks I do delegate. In fact, now everyone in my household is an adult, there is a lot of delegation and shared tasks. Tip 3. Set up different coloured laundry tubs in the laundry for the wash. Kids love to sort out colours and it is a great way to educate them on the importance on not washing the reds and whites together. 6. Set Out Your Weekly Outfits. When you know what you need for the week in clothing, it really does save energy. Yes, in some instances activities may change and different attire may be needed, but if you have most of your clothes ready it is so much easier and such a time saver. Really, how often do we as women stand in front of the wardrobe and think what shall I wear today? It does not need to be difficult. In fact, you could make choices easy when it comes to clothing by following the same principal as Steve Jobs by wearing a signature outfit each day. There are many people who wear the same thing every day. Giving yourself a work uniform may be an option for you to save time in deciding what to wear each day. Don’t want a uniform, how about, hanging the clothes in order in the wardrobe ready for the week. Don’t forget the gym clothes, lay them out ready. Having your gym clothes ready is eliminating an excuse. for blog posts and weekly exclusive inspirational and motivational content to help you master skills for a more balanced life. Part of planning for the week for me includes writing up my weekly goals, and my to do list. I do this by writing my main goal and then breaking this down to a weekly goal. Daily I also write a daily action that leads towards the bigger goal. Write down something you are doing for fun this week. Tip 4. Do not make your weekly to do list too big as you may get disappointed if you do not complete everything. Have a place where you write down all you need to do, however only write down the must to dos for the week. 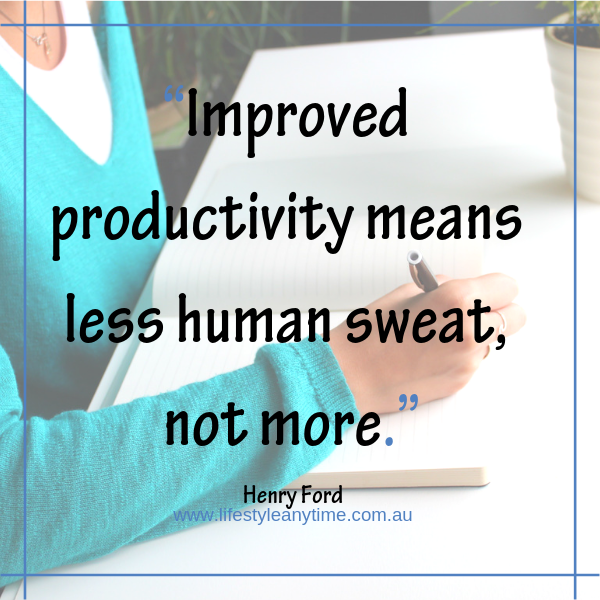 The other to do’s on your list can carry forward for another week, or better still delegate. 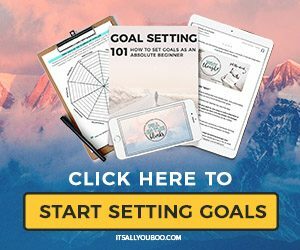 Related post: The Ultimate Guide to Life Goals with Core Value list. 6 replies to "Productive Sundays Lead To A Productive Week." Sounds really productive but how long time does this take on your Sundays? We spend weekends outdoors and I miss the time for preparation towards the next week. Any ideas how to make that possible with an outdoor lifestyle where we are not at home for laundry folding on Sunday? Love that you are outdoors on a Sunday. We are too, sometimes for long day trips or hikes. I’d be folding the laundry on the day that you do the laundry, less chance to allow creases to set in, so less ironing. My whole routine takes max 2 hours depending on the food preparation. If you are planning meals as a family this can be discussed on the way back from outings which will reduce the time. Discussing and updating the schedules is also something that can be entwined into family life, maybe just after dinner when the family is together. Friday is pizza day! Yes!!! Or my low-cal version of pizza. 🙂 Loved the list of what to do on Sunday. All thing I strive to do but don’t quite make the mark. Thanks for the reminders! We all have different objectives we strive for weekly and it certainly takes time to achieve them regularly. I’d be interested in hearing about your low cal version for pizza. Saving calories for me is like time, beneficial to save. These are great tips. I’m printing this list to keep in my folder. One weekend at a time and I will be at all 7. it’s so important to be reminded of these things so we aren’t feeling overwhelmed by the middle of the week. So pleased these tips help. 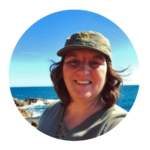 You are spot on Crystal, adding one new task weekly is certainly the best way to go to stop overwhelm.